Even in drinking circles, Todd Thrasher is something of a unicorn. The first cocktail he drank, a rum and cola, never made him sick. 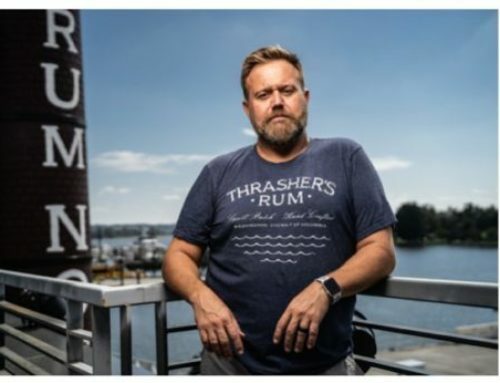 The absence of a stomach-churning origin story is at least in part to blame for the culmination of the nationally recognized bartender’s career thus far, this week’s opening of a riverside rum distillery with a three-story Tiki complex on the Southwest Waterfront. 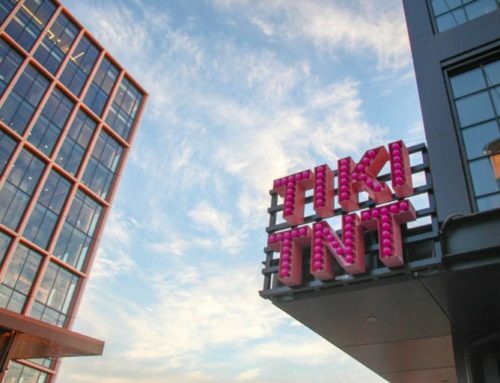 Tiki TNT began accepting customers at the Wharf development this weekend. 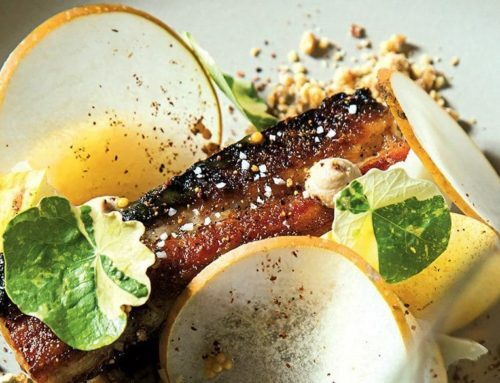 That meant Thrasher — a three-time semifinalist for James Beard Foundation Outstanding Wine and Spirits Professional at now-shuttered Restaurant Eve — and his crew got to work cranking can openers to take the tops of single servings of Coca-Cola. 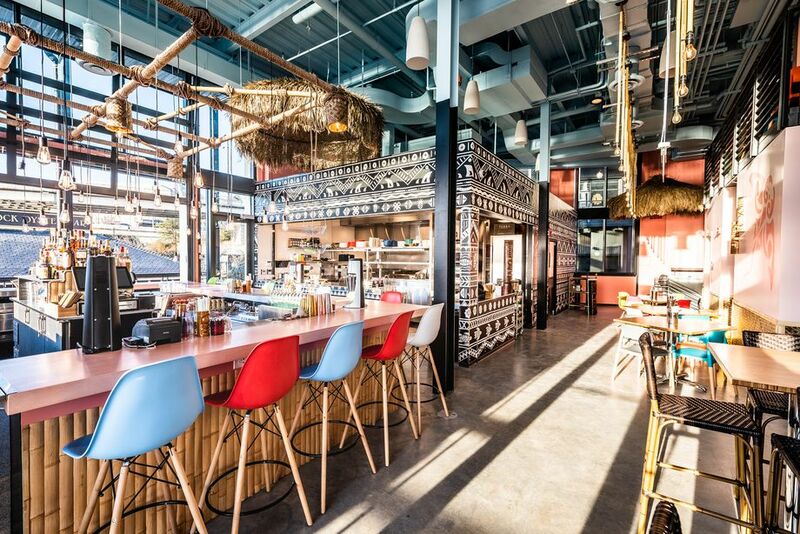 Thrasher tells Eater over and over that the goal of Tiki TNT is for people to have fun. That message comes through loud and clear on a menu that eschews tumblers of craft cocktails for beheaded cans of Coke spiked with Captain Morgan spiced rum and a brown cola slurpee that would be at home at a 7-Eleven. The idea goes back to Thrasher’s first drink, which was actually made with RC Cola. “Usually the first one you have is a bad experience, but I always liked that,” Thrasher says of the classic mixture. 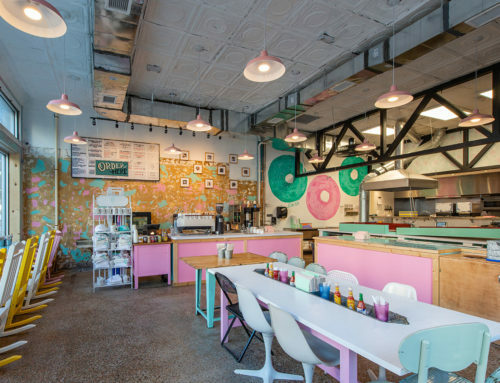 When he first embarked on the project three years ago, Thrasher wasn’t interested in replicating PX, the cocktail temple he built up in Alexandria, because many people could only come on special occasions. He wanted Tiki TNT to be absent of pretense.